We had more than 500 visitors today. Why? When you google the phrase homeless man, homelessmanspeaks.com is now listed #1 — after images, videos and recent news items. Try it. 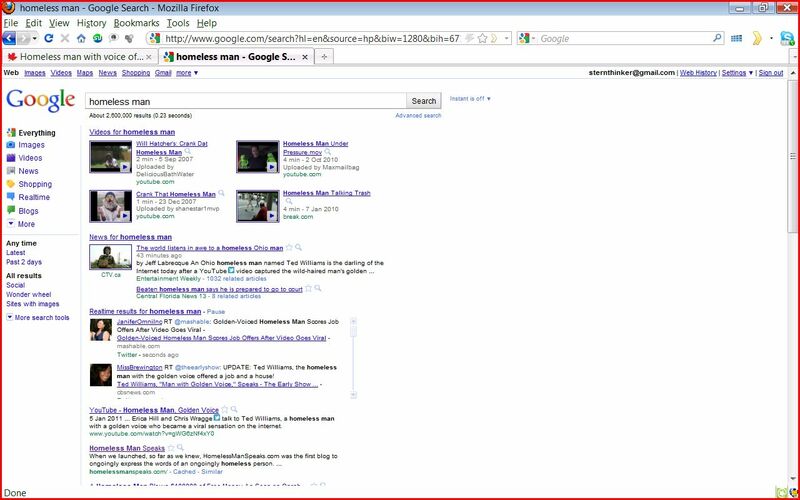 Just in case Google’s ranking changes again, here’s the screen shot. This entry was posted on	January 5, 2011 at 5:36 pm	and is filed under homelessness.